The Tanner family is an average American family. One day, they discover that they have a visitor. He's small, he's furry, he's arrogant, and he's an alien from the planet Melmac. Unsure what to do, they name him ALF: Alien Life Form. Alf soon decides that as much as he misses his home planet, there's a lot to be said for Earth: the Tanners are willing to concede anything as long as he doesn't announce his presence. Oh yeah, the the Tanners also have a cat, which looks rather tasty... Anyways, while living with the Tanners, Alf is captured by the A.T.F. (Alien Task Force). 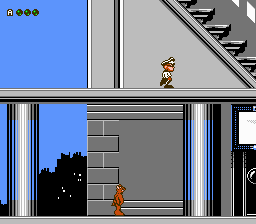 While there, Alf discovers that his ship has been repaired. Seeing this may be his only chance to escape, Alf begins to cooperate with the A.T.F. After working with the A.T.F. for some time, they began to trust ALF. 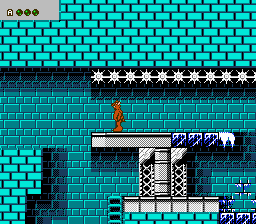 Once ALF had earned the trust of the A.T.F., he learned of a secret experiment that used alien technology to make super strong beings. Upon learning this, he decided it was time to make his escape! 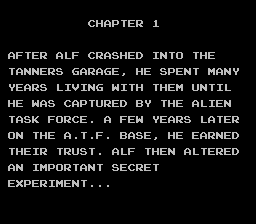 ALF performed the experiment on himself, and immediately became stronger. 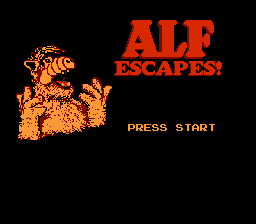 Will ALF escape the A.T.F. base before the effects of the procedure wears off?